ROK Studio, the Lagos-based producer of Nollywood TV films and series, is on a tour across Africa. The ROK Me Tour 2019 is intended to be an opportunity for fans to meet their favourite Nollywood stars in person wherever they are in southern Africa. 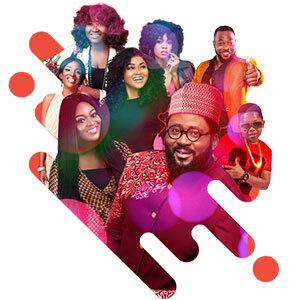 Stars who have acted in TV series like Husbands in Lagos, Single Ladies and Festac Town are also part of the tour, which was set up by Mary Njoku, CEO of ROK. The stars include Annie Macauley-Idibia, Desmond Elliot, Jackie Appiah, Mercy Aigbe, Bolanle Ninalowo and Chinedu Ikedieze. So far it has visited Johannesburg and Cape Town and will move on to Lusaka, Accra, Kumasi, Abuja, Lagos and London. With the release of its new series, The African Couple, ROK is also on the search for local talent. Njoku said: “We are very excited to be meeting with Nollywood superfans across Africa, whilst also being on the look-out for up-and-coming acting and production talent. “At ROK, we love telling real African stories and providing opportunities for aspiring writers and actors alike. Nowadays, Nollywood is not just made up of Nigerian stars but African stars around the globe,” she added.